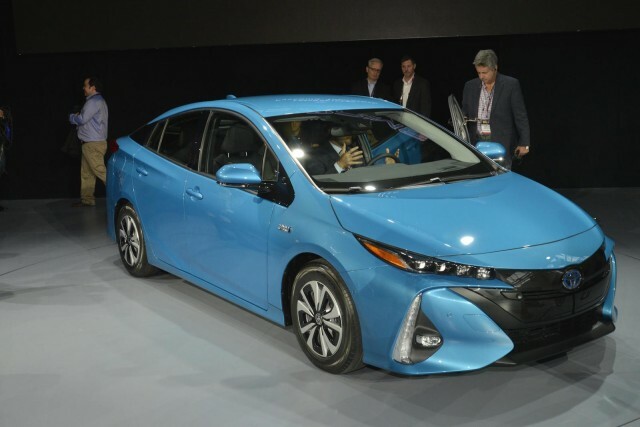 The 2017 Toyota Prius Prime, the new plug-in hybrid version of the world's best-selling hybrid car, was unveiled this morning at the New York Auto Show. The second plug-in version of the Prius hybrid, it will carry an EPA range rating of 22 miles from the 8.8-kilowatt-hour battery pack, according to Toyota. The Prius Prime also has notably different front and rear styling from the conventional hybrid version of the fourth-generation Prius, which launched as a 2016 model. Final fuel efficiency numbers aren’t yet out for the 2017 Prius Prime, but Toyota estimating the electric operation at 120 miles per gallon equivalent (MPGe), which is the distance in miles an electrically-driven vehicle can travel on the same amount of energy as contained in 1 gallon of gasoline. Toyota says that with a full charge and a full tank, the Prius Prime can go more than 600 miles. 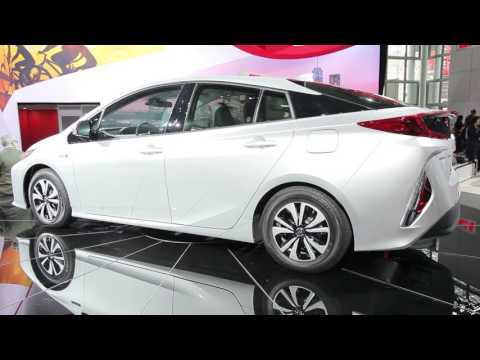 The previous Prius Plug-In was more sluggish than the standard Prius hybrid; this time Toyota says that the plug-in Prime will drive with the same verve as the conventional version, partly due to its new high-strength platform. The Prime uses Toyota’s first dual-motor hybrid system, in a setup that allows both motors for drive force when accelerating in all-electric mode. 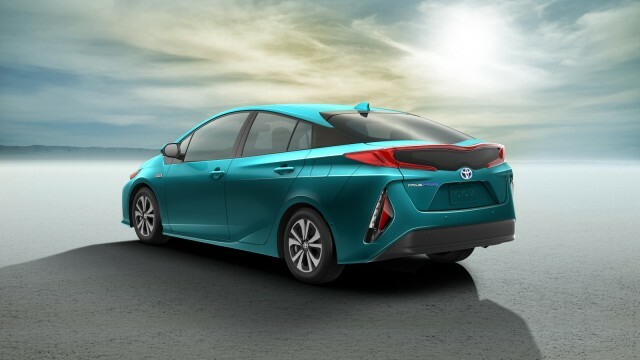 Toyota says that the range of conditions in which the Prius Prime will use its all-electric mode has been greatly expanded. But it's the electric range of 22 miles that's likely to be the most talked-about feature of the Prius Prime. It doesn't come close to the 53-mile rating of the Chevrolet Volt, but it's in the range of the 25 miles estimated for the Hyundai Sonata plug-in hybrid. 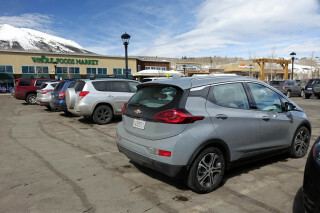 The Energi plug-in hybrid versions of the Ford Fusion mid-size sedan and Ford C-Max compact hatchback are rated at 20 miles of range, after the EPA ratings of several Ford models were reduced in the summer of 2014. The automaker hasn’t yet been specific about whether a true EV mode can be locked in, but it does say that the Prius Prime can be driven up to 84 mph without leaving EV mode. 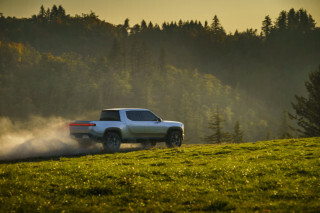 The new Prime models, Toyota says, can be charged in about two hours on 240 volts, or in 5.5 hours with a standard 120-Volt household outlet. Unlike many other plug-in hybrids, the Prius Prime will be available in all 50 states. 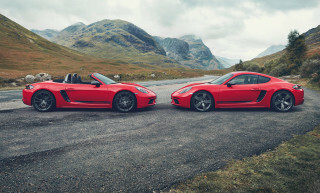 Prices will be announced later this year, and the car will arrive at dealers toward the end of the year, likely starting in November. Keep up to date on all the latest photos and announcements by visiting our New York Auto Show news page.